In the heart of the town, you'll find a real hostel hidden from view and with a great backyard, BBQ, Pool area, hammocks, large communal kitchen and free pool table. The Reef Backpackers is a rather small Hostel. Our well-maintained dormitory rooms with just 2 to 8 beds makes a very familiar, relaxed and friendly environment. Rooms are air conditioned and all bed linen is provided free of charge. Here you will find a comfortable TV and reading area for the ones that want a little relaxation and to meet people from all over the world. Meet real people that enjoy traveling and having fun. Here all things considered, is also the cheapest because our prices include everything and there are no surprises. The reviews from our guests say everything. 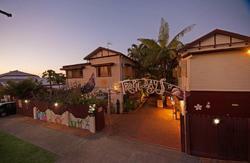 Economical accommodation in Cairns shouldn't compromise on comfort. The city is a busy and hectic place so it's important for us at Reef Backpackers Cairns to do as much as possible to ensure our guests can get a comfortable night sleep. 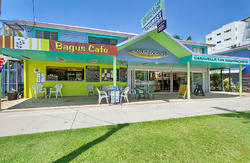 You will find the Reef Backpackers amazingly quiet for being located in the centre of Cairns but at the same time, for the ones who want to enjoy Cairns nightlife, you will find restaurants, bars, clubs and the best spots in town within a few minutes walking distance. 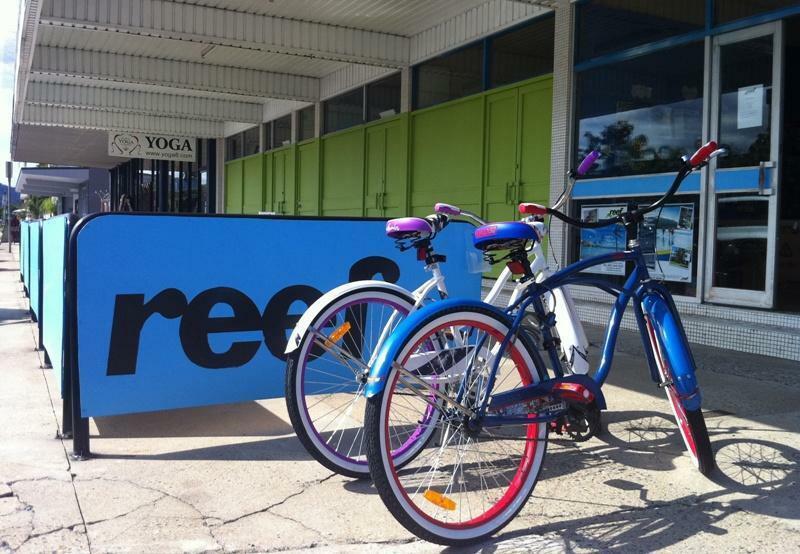 Take one of our bikes for a trip around Cairns and see the sites. There are some great bike paths. Your first 2 hours is free and then just $8 per day. The only rule we have is that we ask to not make any noise after 11 p.m. so we can let our guests relax in peace. We are close to everything and its all walking distance. The lagoon the bars and the shopping centre. We offer guests a free meal voucher for an evening meal... You will love it! ....Important.... Existing guests must book at the reception for extending their stay. rates and prices on this site are for new guests only. Please note free airport pickup between 8am and 8pm, all other times it is $6. We are located on Grafton Street in the heart of the city centre, between Aplin and Florence Street , three blocks down from the esplanade and 2 minutes walk from all the restaurants pubs, bars, shops etc. Why stay out of town when you can stay with us.